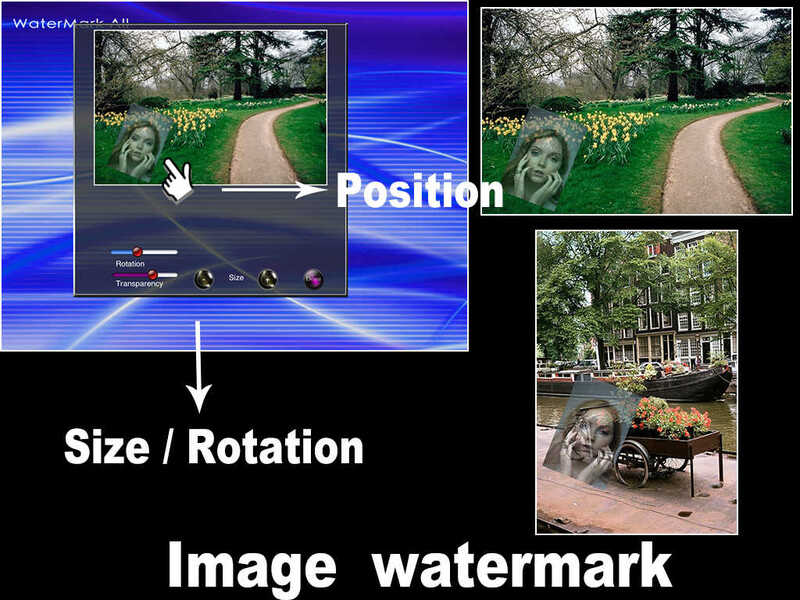 [Watermark All] allow you to make watermark into your photos in batch processing. 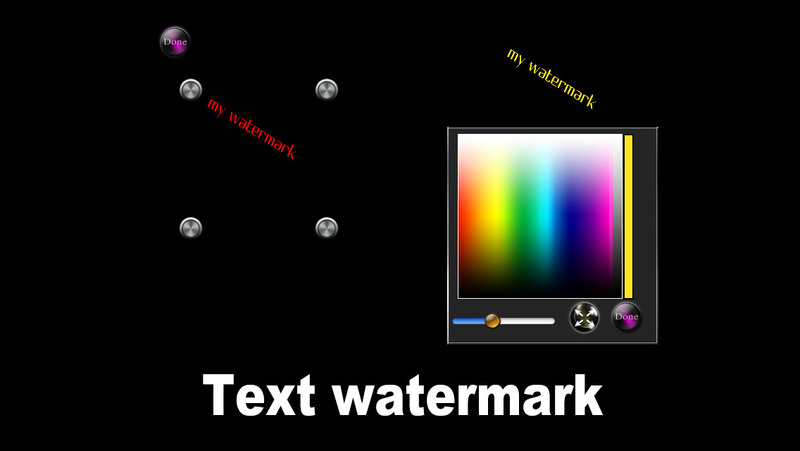 You can make text watermark or image watermark easily. 1. 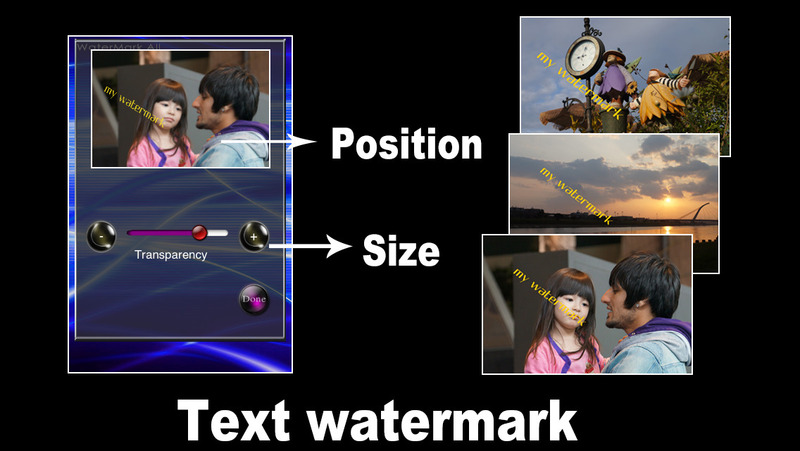 You can change the width or height of the text in different proportions. 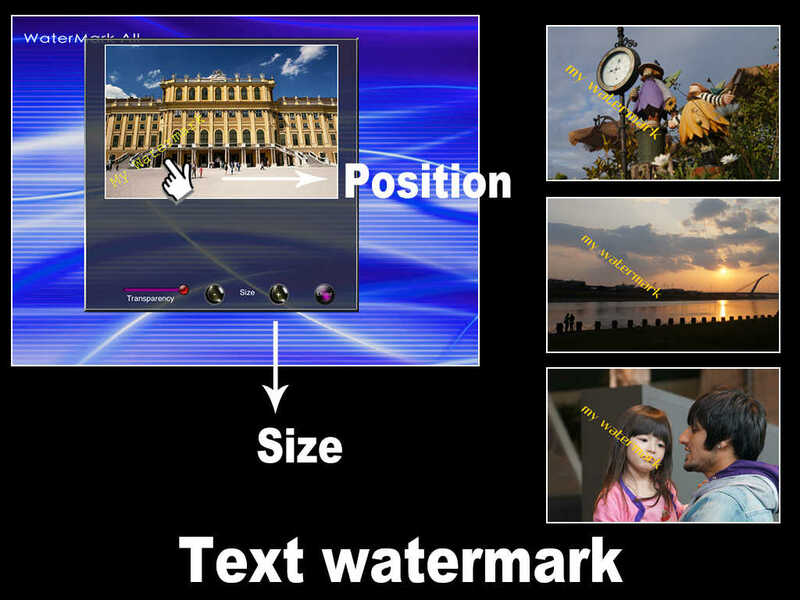 You can load the photos from album or iTunes application document ,and save the result to the album or iTunes application document.